Duke of Kalisz; died 1278. He was distinguished for his courage and administrative ability. Boleslaw aimed at furthering the welfare of his subjects rather than at the enlargement of his domains by wars. 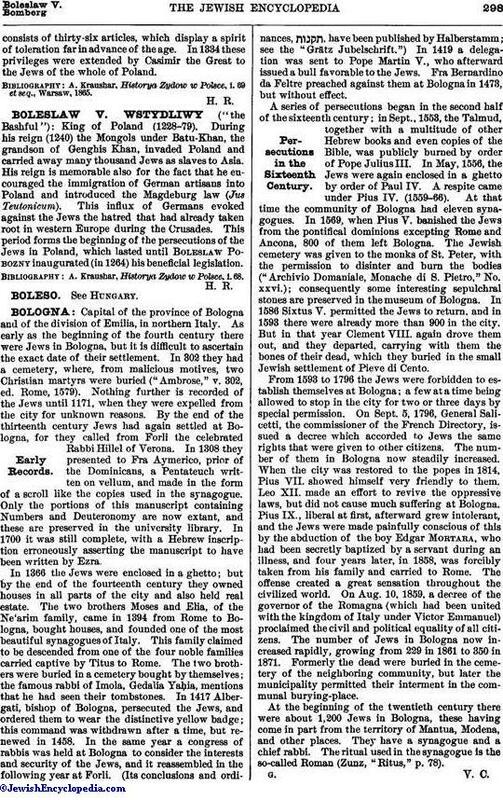 Emigration from the neighboring countries had greatly increased the number of Jews in the duchy. This made it imperative to issue special regulations for their government, and in 1264 Boleslaw issued an edict granting them many privileges. This edictconsists of thirty-six articles, which display a spirit of toleration far in advance of the age. 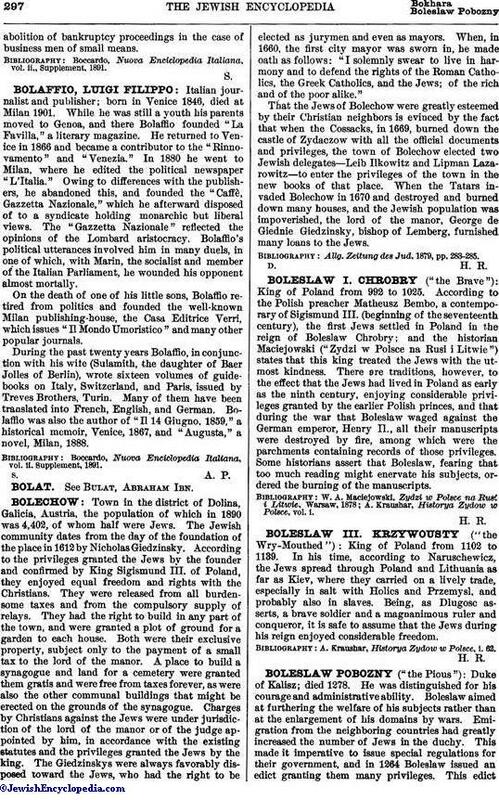 In 1334 these privileges were extended by Casimir the Great to the Jews of the whole of Poland. A. Kraushar, Historya Zydow w Polsce, i. 69 et seq., Warsaw, 1865.